To eat it or not to eat it? We’ve all heard the five-second rule: as long as the food has been on the ground for less than five seconds, you’re safe to eat it. But are you? Would you eat this biscuit off the floor? One survey found 70% of women and 56% of men are aware of the five-second rule and use it to make decisions about whether to eat dropped food. Another found 87% of people would, or already have, eaten food that’s been on the ground. The five-second rule was the focus of a Mythbusters TV segment and even made it into a Volkswagen commercial. But is there any science to back up the claim that it takes more than five seconds for bacteria to attach to dropped food? I found a couple of tests of the five-second rule, with conclusions both for and against. In 2003, high school student Jillian Clarke set out to examine the rule as part of her science internship. Her conclusion: university floors are remarkably clean. But if you do drop food on a floor containing germs, your food will become contaminated in less than five seconds. Another study concluded there is definite truth to the five-second rule: food picked up within a few seconds of being dropped is less likely to be contaminated than food left for longer. But a 2006 study found a sausage dropped on a tile floor picked up 99% of the bacteria present within five seconds. A detailed study published last year found some food picks up bacteria within a second of landing on the floor. The scientists tested four foods (watermelon, bread, buttered bread and a jelly sweet), four surfaces (stainless steel, ceramic tile, wood and carpet) and a variety of contact times from less than a second to five minutes. Unsurprisingly, the moister the food, the more it got contaminated. The message: next time you drop watermelon on the floor, put it in the compost. One of the biggest influences on whether bacteria end up on food is not how long the food has been on the floor, but rather what floor the food falls on. And I’m not just talking about how often you vacuum or mop: different floor surfaces provide more or less friendly surfaces for bacteria. Interestingly, the researchers found much lower contamination rates from carpet onto food than from tiles or stainless steel. Clearly, what sort of food you’ve dropped and where you’ve dropped it matters just as much, if not more, than how long you’ve left the food on the floor for. But it’s worth bearing in mind your floor is probably far cleaner than many of the other surfaces around your house. Study after study have highlighted how many bacteria live on many of the surfaces we touch regularly: money, mobile phones, remote controls, supermarket trolleys, computer keyboards and, often the most contaminated, kitchen cloths. There are a whole heap of bacterial hotspots you are probably touching before you eat without a second thought. It’s highly likely your floor contains bacteria, and almost certain any food you drop on that floor will very quickly pick up that bacteria. Most bacteria won’t do you any harm, but some will make you very sick. Whether eating food you’ve dropped on the floor is more likely to make you sick than any other number of things you do every day is a decision only you can make. 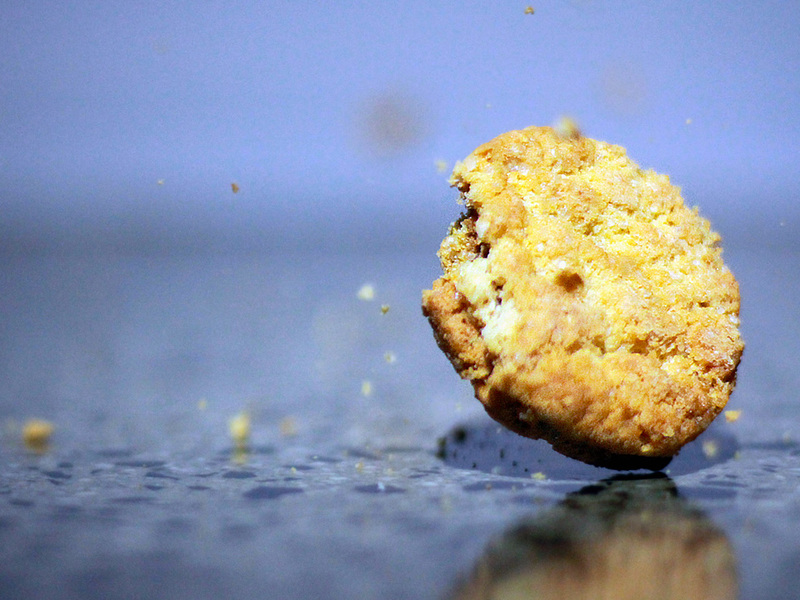 Scientific American: Is the 5-second rule true? What a delightful topic to explore – it created a great discussion at work when I shared my new found knowledge (just quietly, they think that I have too much time on my hands, so I felt compelled to share my source of all things interesting). I must admit, I’d always thought the rule was silly and made no sense and couldn’t understand why people thought their food was contaminant free because of an arbitrary time duration. For me, the quandary was more about the amount of germs on my floor versus anywhere else in the house (I have dogs and kids, that’s always a recipe for a bacteria party) and was I willing to risk a potential bout of gastro. What scares me more is the humble kitchen cloth you refer to – sends shudders down my spine when I think about that versus a dropped food morsel. Thanks Marti! So glad to be a source of interesting topics to discuss at work 😃. I must admit I’ve always been happy to eat food that’s fallen on the floor at home too. But the kitchen cloth is a worry! One piece I read said the best thing to do is to microwave your wet kitchen cloth for one minute every night to kill bacteria. As long as it doesn’t have any metal abrasive parts!! Sounds like an easy plan but I haven’t got around to it yet! Previous PostWho is watching you?